Over the past several years, Mill Ridge has been known as primarily a high-end nursery, raising foals for a long-standing and devoted clientele. 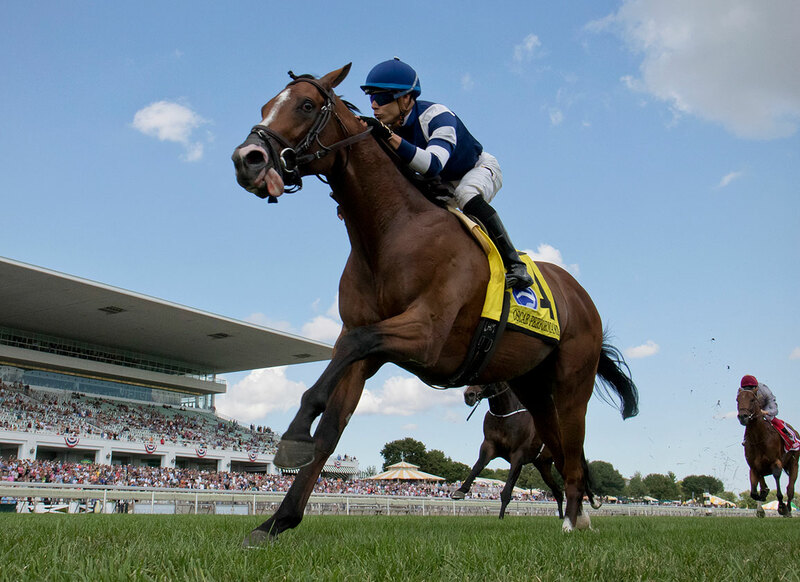 But in 2019, they will return to the business of standing stallions, having brought home the four-time Grade I stakes winner and ‘TDN Rising Star’ Oscar Performance (Kitten’s Joy), who was raised at the farm. Mill Ridge has announced a fee of $20,000 for their new stallion, and we caught up with Headley Bell during the Keeneland November sales to see how the big bay was settling in. TDN: He was very much the top of his generation and his division on the racetrack. What appealed to you about his prospects as a stallion? HB: his body of work is that he won the Breeders’ Cup at two, then at three, he won the only two Grade Is that were on offer, the Belmont Derby and the Secretariat at Arlington Park. And then this year, he broke Elusive Quality’s 20-year track record for the mile in the Poker and came back and won the GI Woodbine Mile. He’s out of a Theatrical (Ire) mare. A wonderful mare called Devine Actress. She’s a beauty and for me, he represents a blend of of her sire, Theatrical, a son of Nureyev, and the blend of Kitten’s Joy. As you can see, he just has elegance about him. So, when we speak of the attributes of Oscar, that’s what I think is as appealing as his race record. The inbreeding to the stallions that he has is really significant. So, for me, we have the entire package of a horse who could perform for three years at the top level, and a very handsome horse at an affordable price. TDN: And at what point during his career did you think that it might be possible for him to come back here and stand at stud. How did that come about? HB: He was raised here. The Amermans have been wonderful friends and supporters of Mill Ridge for some time, and particularly of mom. They’re really very fond of mom. When he won the Breeders’ Cup and was a ‘TDN Rising Star’ in his second start, and he demonstrated he was a true racehorse, we naturally supported them. Thankfully, we have a quite a record for having good horses here, i.e. Gone West and Diesis. So they’ve been supportive of all of it, they really allowed us to navigate the whole situation with their assistance. We offered 15 shares in July and they sold in 10 days. We’re going to offer another 10 shares now that he’s retired from racing. But, they’ve been supportive and that’s truly a gift, because in today’s world it’s so competitive. TDN: You mentioned you’ve been discerning with the stallions you’ve had, like Diesis and Gone West. Do you think that influences breeders to put that trust in you? HB: I hope so. We are specific in really everything that we do, to the best of our abilities. We want to have a stallion here who’s going to contribute to the breed. Gone West contributed to the breed, and Diesis is contributing to the breed, and we sincerely think this horse will contribute to the breed. He has every opportunity to make a difference. TDN: How many mares would you expect him to cover next year? HB: We’re going to limit him. Our syndicate has been really appealing. We have taken the best of everybody. We’re going to limit him to 140ish mares throughout time. We’re not going to do Southern Hemisphere–nothing against it, but we’re not going to do that. On the syndicate we have, the shares have a bonus for the first four years that they use their season. So it’s very appealing, everything about it is appealing, and it’s an affordable kind of a price. So we think the entire package is appealing. Of course, we would. We’re offering it. 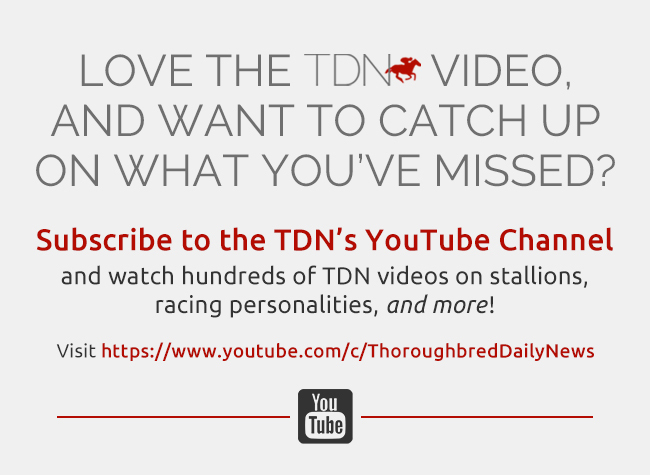 TDN: Are you able to talk about some of the breeders who are in the syndicate? HB: We offered the horse in July and had a great response. The people that we have are leading breeders such as George Strawbridge, Craig Bernick, Tolie Otto-Jamm Ltd, Lynn Schiff, Mill Ridge, Dixiana, Everett Dobson, Rich Santulli, LNJ, Lauren & Rene Woolcott, Tanya & John Gunther, Barry Goldstein, Mike Ryan, Orpendale, Spider Duignan, Larry Goichman and David Block-Team Block. It’s a great group of people who are participating. 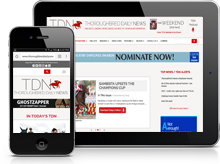 TDN: What’s it like to be in the stallion business again? For a long time you were a just a premier boarding facility. HB: It’s so exciting and it invigorates you. This is all we do, we don’t have outside revenue or outside businesses. This is our business, so we have to make a business of it. So we have to be discerning, again, on everything that we do. We feel that this is a horse who really will make a difference, so we’re very excited for that. It’s really great.